VW Polo Dad Ad; Three Things You Should Learn From This. I think we can all agree that this is a pretty powerful ad. The beautiful cinematography, emotional script, heartbreaking acting and evocative song choice aside... the strategy ain’t half bad either. Pull at Dad’s heartstrings with a montage of all the seminal moments he will have with his daughter, whilst reminding him that when inevitably the time comes to let her go (drive) out into the world, a Polo will keep her as safe as he did. The economic downturn, credit crunch, depression... whatever you want to call it has had an effect on retailers the world over. One age old solution to this is couponing, a smart piece of thinking in itself. Rather than discounting everything (and risk giving a discount to those willing to pay full price) you are able to more specifically target those who would not buy without this discount. Couponing is an extremely over-used and basic promotional technique almost always applied to fmcg products, as by their nature they are quick, disposable discounts. So what is so special about IKEA calling their coupons rent cheques? 1. By trading the rent cheques for space in your home they immediately seem more valuable than coupons given away for free. 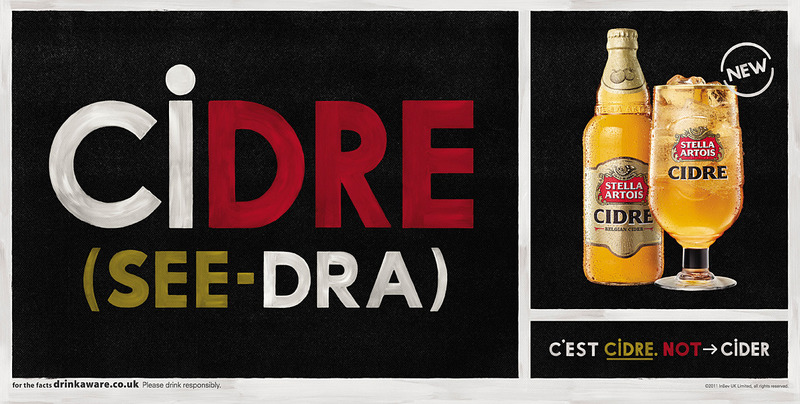 Cidre; How Stella changed the g(n)ame. I can hardly think of a more crowded market place in the UK at the moment than Cider. Since Magners exploded onto the scene a few years ago (seems like a very long time ago now) the number of Cider brands & drinkers has exponentially increased. It was not so long ago that Cider was for teenagers and tramps. In the wake of Magners many other brands soon followed. Apart from Strongbow which has been around forever (and I’m sure has seen an increase in sales since Magners – I have seen people drinking it with ice...) of the top of my head right now I can name – Bulmers, Gaymers, Kopparberg, Savanna, Brothers, Aspalls, Addlestones and Jacques. Add to that all the varieties within each brand like pear (isn’t that just Perry!? ), all the niche, trendy, traditional Ciders and all the ones I couldn't think of, and you have a very competitive environment. I’m not saying these brands didn’t exist before, I’d just never heard of them. I couldn’t really tell you what the difference between any of them is either.